Not 100% sure but I think it's ScoreboardVerySmall in clientscheme, you can change the font or just size there. Finally trying to update 7HUD for the Love and War update, but I've run into a bit of a snag. The taunt selection menu does not show up during the humiliation period, so I can't perform any taunts - including weapon taunts - during that time. It works fine during the round. SevinFinally trying to update 7HUD for the Love and War update, but I've run into a bit of a snag. 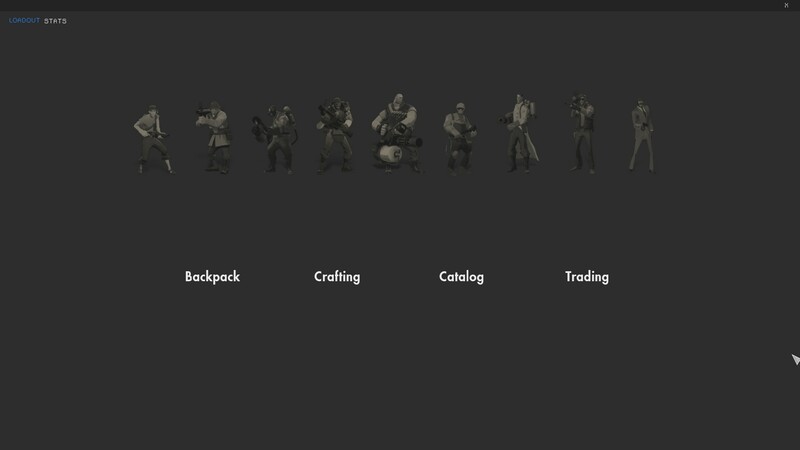 The taunt selection menu does not show up during the humiliation period, so I can't perform any taunts - including weapon taunts - during that time. It works fine during the round. Doesn't work for me like that. 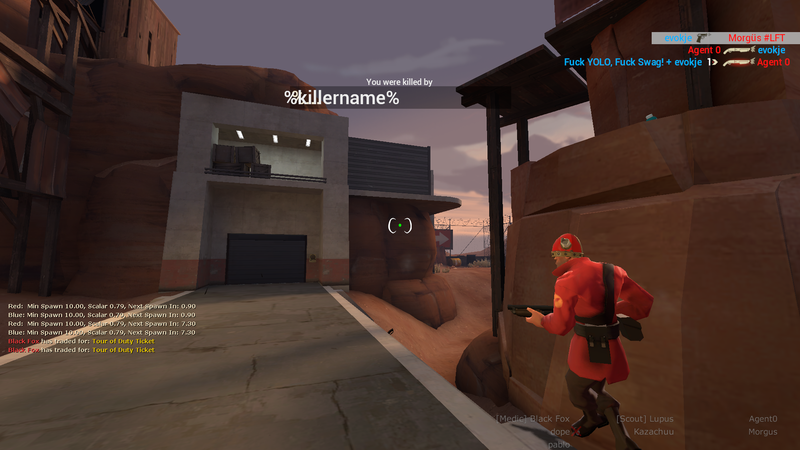 I just realized my game crashes when I attempt to enter the MvM menu from the main menu. I compared my main menu files to those in RaysHUD but I couldn't find any obvious differences that would cause the crash. I was wondering if someone could take a peek at my resource/scripts files and maybe point out what needs to be fixed. 1. How do I remove the [unknown] from a scoreboard? 2. How do I remove the [unknown] from the item view panel? I looked it up and I found a post saying you have to remove the 'attriblabel' section from the itempanel.res and specpanel.res files but I can't seem to find them in the hud files. Are they inside a file, e.g. clientscheme.res? Is this my fault or Valve's sense of humor? "iconColor"	"0 0 0 100"
Does someone know what it could be? Can somebody explain how i move the sticky charge meter down? How do you fix the Vaccinator? It had been a problem for a long time that the shadow from the regular medi-guns would carry over into the Vaccinator and look ugly. Seems that it's been recently solved. how do I move the red and blue bar at the top along with the things inside it? or does moving the bar also move the things inside it? how do i move the ready and win conditions down? Is it possible to move the loadout/stats thing up? Any ideas on how to edit this? More specifically how to make the ugly brown background disappear. Is there a good way to edit the notification and "new item found" screens? It's hard to only be able to edit it when you get a notification. What do you mean change them in scoreboard.res? The stock scoreboard uses the same structure for MapName as does my hud (which is broken). Mapname is still available but it got moved out of LocalPlayerStatsPanel. You're looking for "Notifications_Scroller" in MainMenuOverride.res and NotificationToastControl.res and GenericNotificationToastMainMenu.res in ui/econ. If you open up the vgui_drawtree and go through the different parts within Notification_Panel it becomes pretty easy to see what does what. EDIT: Just re-read your question. To specifically get rid of that background, you need to change the border in NotificationToastControl from NotificationDefault to NoBorder. 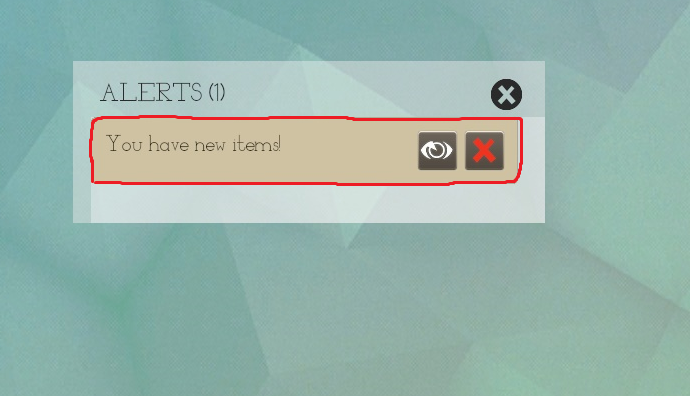 VoloderIs there a good way to edit the notification and "new item found" screens? It's hard to only be able to edit it when you get a notification. 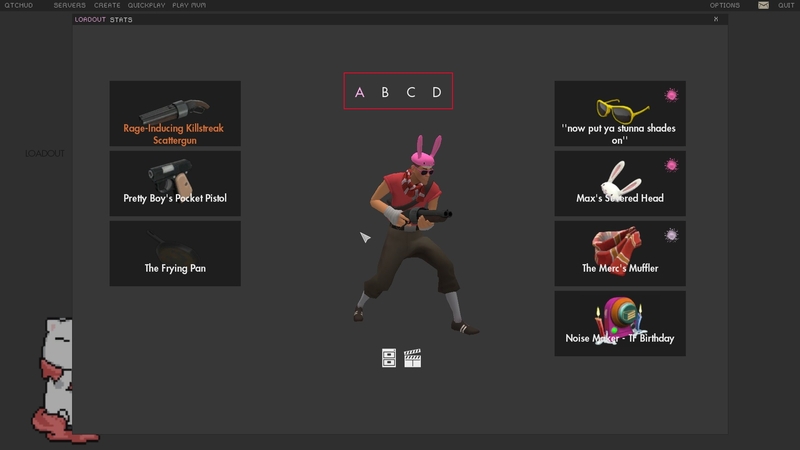 record a demo of you playing tf2 and hope you get an item then find the tick when you do. How do I change the font here? f_blueMapname is still available but it got moved out of LocalPlayerStatsPanel. Is there a special place it got moved to?